HAYDEN Paddon will continue with his new co-driver Sebastian Marshall for all future WRC events after long-time partner John Kennard decided to retire this week. Having stepped aside temporarily for Marshall on Rally Portugal due to a hip injury, Kennard was due to contest rounds in Italy, Poland and, finally, Finland before calling time on his 12-year association with his Kiwi countryman Paddon in the Hyundai Motorsport team. Kennard said his hip had not recovered enough for the next event in Sardinia on 8-11 June and with just two more rallies before Marshall was in the car full-time it was best to make the change now to help build the new partnership. “Unfortunately my hip’s condition still won’t allow me to take on the rough gravel of Sardinia and while I’d dearly love to get back in the car to finish my WRC career with Hayden in Poland and Finland, it really wouldn’t make any sense,” Kennard said. 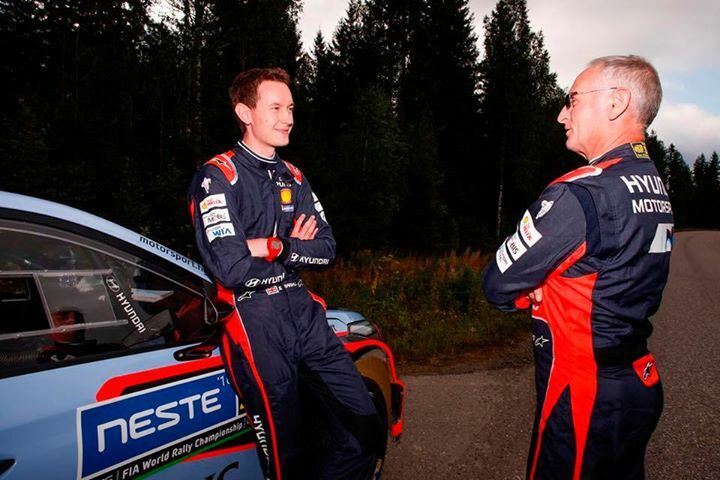 Paddon said the decision on Kennard’s early retirement was not easy. “I hugely commend John for this decision – not easy for anyone and he is putting the thoughts of us and the team before his own.